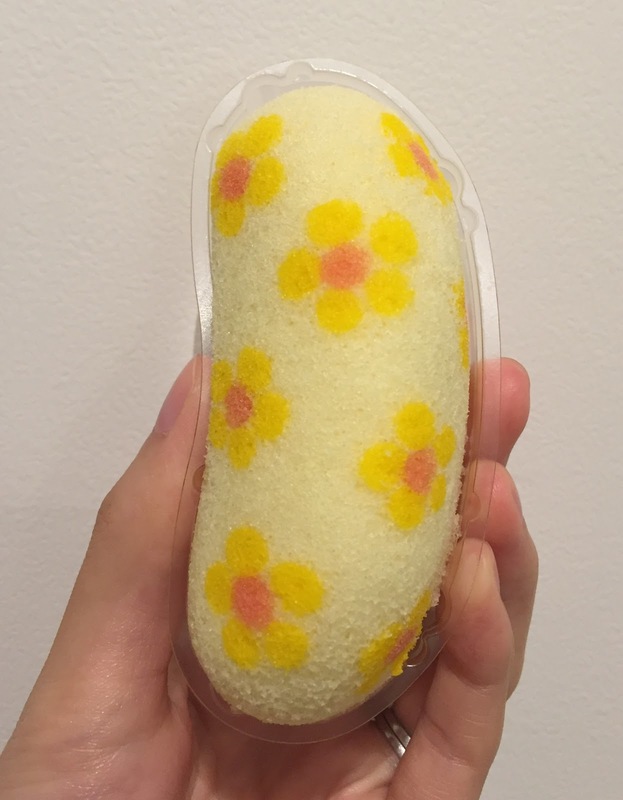 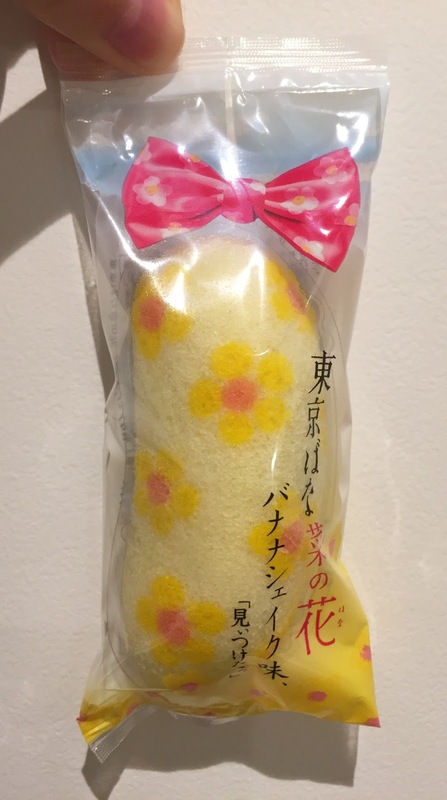 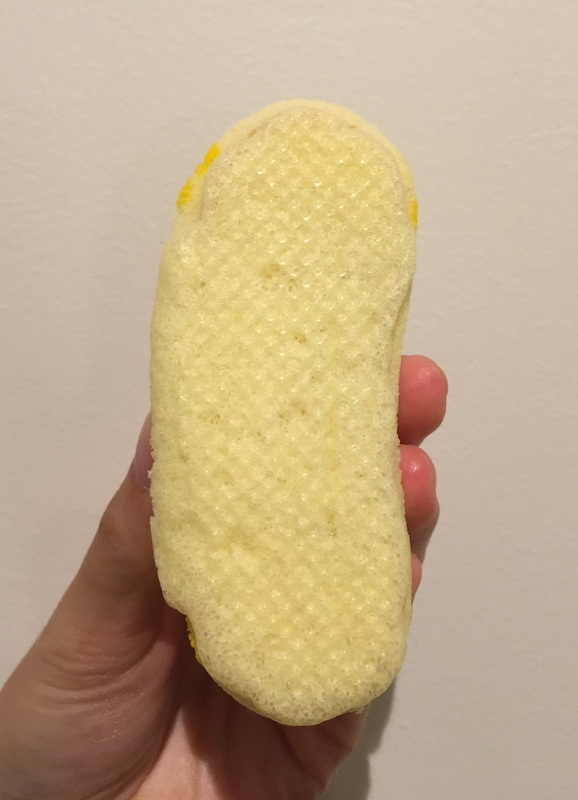 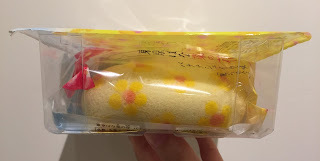 My husband found an interesting Tokyo Banana, a banana shaped sponge cake with banana puree pastry. 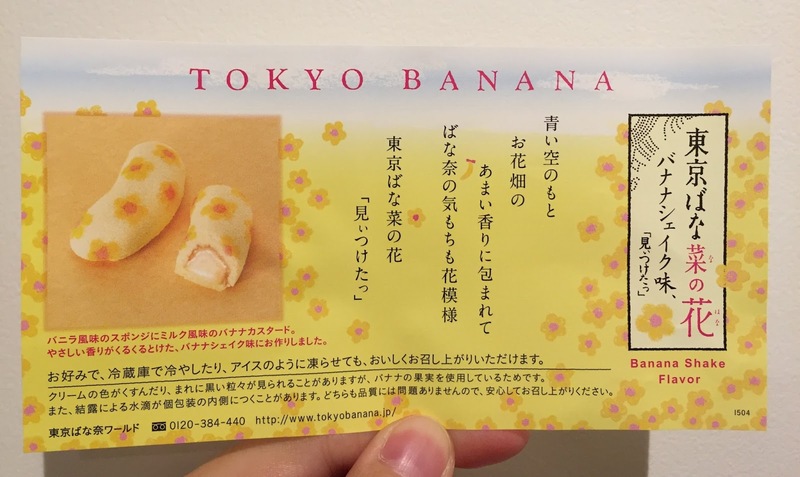 The one he got is called Tokyo Banananohana Bnana Shake Flavor (東京ばな菜の花 バナナシェイク味), and Banananohana is a combined and made-up word of banana + nanohana (菜の花, field mustard flower). 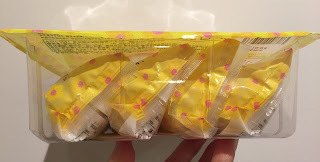 There're 4 individually packaged bags. 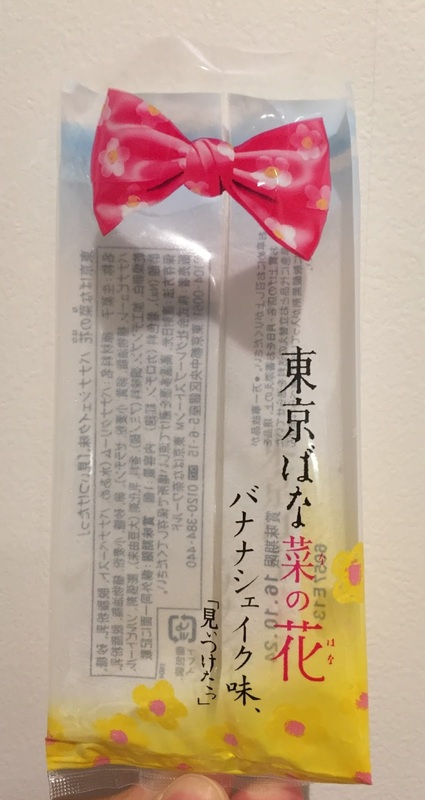 The package had pink a ribbon. 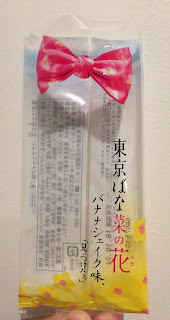 The background of the ribbon was blue sky, and the right bottom had field mustard flower. 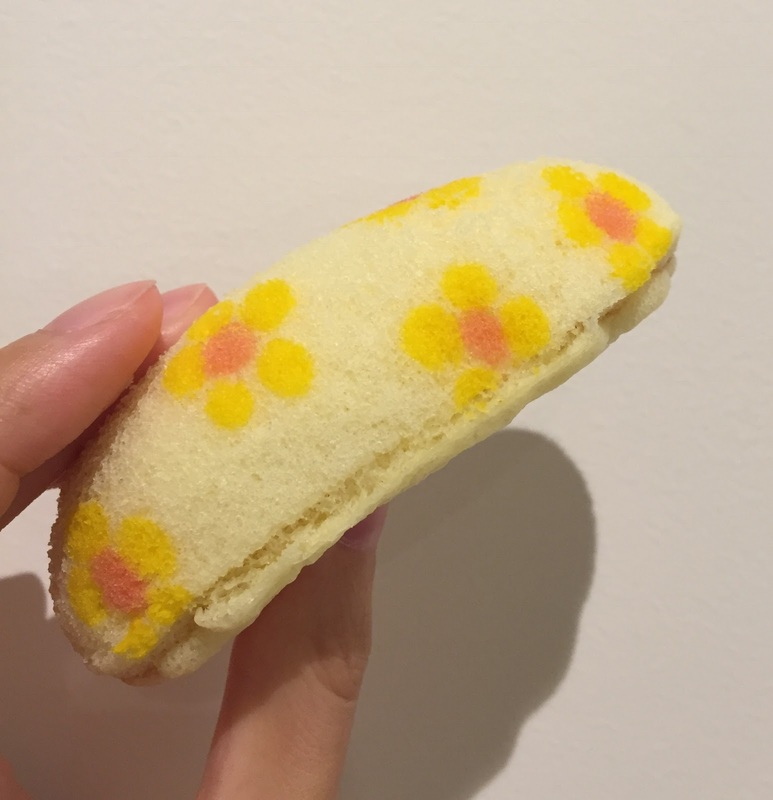 Yellow flowers are designed over the sponge cake. The bottom was plain and there's no flower. 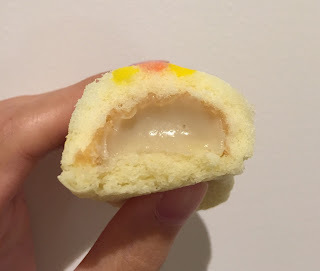 The bottom piece was used as a lid when I saw it from the side. The sponge cake is vanilla flavored and the banana custard filling is milk flavored. 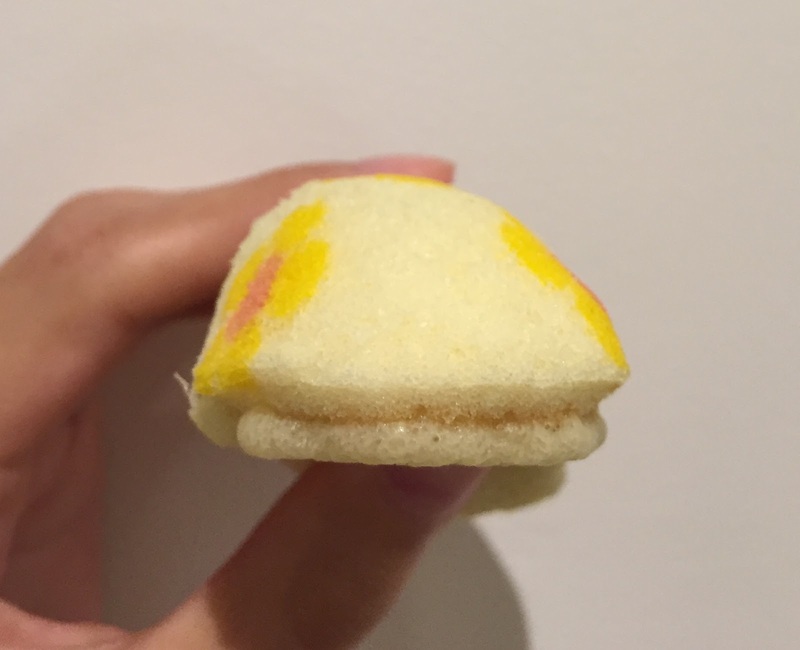 The filling was creamy and rich in banana flavored as ordinary custard cream, and it's hard to taste vanilla in the sponge cake. 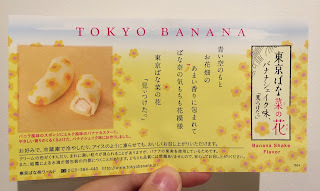 To me, the flavor was almost the same as the regular Tokyo Banana. The leaflet showed that to make the cake chilled or even freeze like an ice cream would be tasty.